Winter is on its way here in Maine. It may have already arrived for my friends further up north. Just this morning there was a layer of ice on the outdoor water buckets. I had to pile on layers to milk the goats and I was blissfully enjoying the warmth of the goats’ udders and the steam coming from the milk pail. There’s a lot to do before real winter hits. I’m not ready yet. Are you? Being ready for winter makes the experience a bit more bearable. After all, you can put plastic over the windows of the barn and chicken house during a warm autumn day or in the middle of a sleet storm. I have a bit of a checklist I follow, but we all have different climates and livestock setups, so I thought I’d ask a few of my friends how they winterize. The Thrifty Homesteader lets you in on keeping ducks in winter. With short little legs and deep snow, they offer accommodations you can make for your ducks. I love their post-molt tips. See more at Cold Ducks: Keeping Ducks in Winter Weather. HenCam sums up winter care for our feathered chicken friends so well in Winter Care for Chickens. 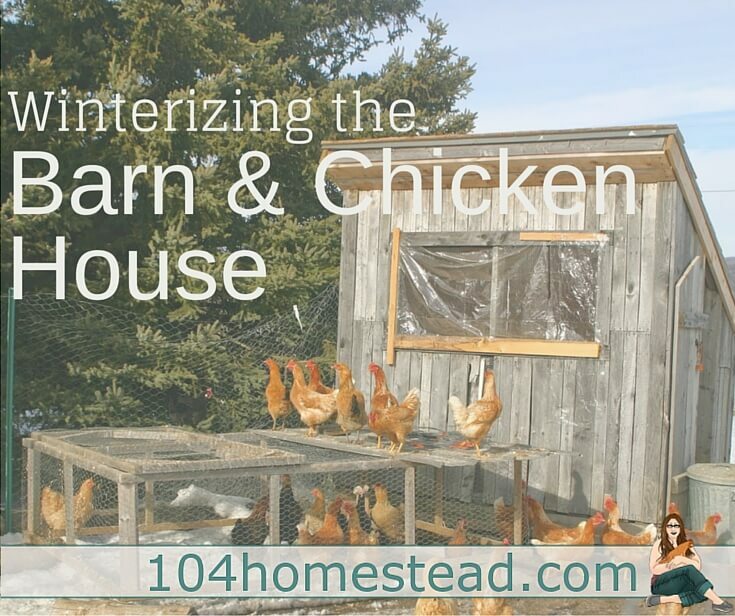 Find out her take on adding heat, which is much like my beliefs, as well as how she keeps her chickens happy and healthy through the winter. 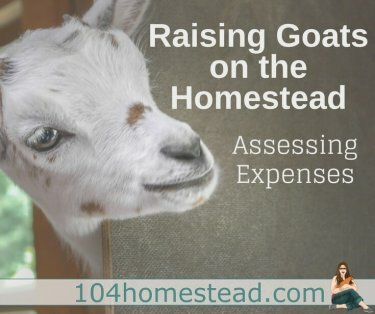 All Things Goat gives you a checklist of things to make your goats’ winter a bit easier. In addition to stockpiling, they suggest a bit of pre-winter grooming as well. Read all about it in Goat Shelter: Winterizing. This year we splurged on heated livestock buckets. They were a worthwhile investment. I haven’t noticed an increase in our electricity bill, which I appreciate. The Rabbit House impresses the importance of doing any hutch maintenance before the foul weather arrives. Plus, they have a great trick for keeping water bottles from freezing quickly using a sock and bubble wrap. Learn their tips in Winter Accommodations for Rabbits. How to Raise Quail recommends creating a covey of 15 to 20 quail so they produce enough body heat to stay warm. By creating a covey, providing a tarp for coverage, and adding a warm bedding, your quail will withstand the frigid temperatures. If you have quail, check out Being Prepared for Winter When Raising Quail. MomPrepares offers some great tips to getting your livestock ready for winter. Some tips were new to me and taking advantage of them might even save me a few dollars through the winter months. MomPrepares also offers ideas for keeping your animals comfy through the cold winter months. I love the tip of using rubber dishes. Those have been my saving grace since you can’t “thunk” the ice out of ordinary bowls. Trust me… I’ve tried. They crack every time. Read more in Keeping Animals Through the Winter. Hopefully these ideas help you get prepared for the long, cold winter. My big tip before it gets too cold: Deep clean the chicken house and/or barn with a natural cleaner, change out the bedding (unless you’re using sand), and make sure that gates and doors will clear the snow when it arrives. I spent all last winter scaling the fence because the ice buildup prohibited me from being able to open the gate. The gate has since been raised with a tall kick board beneath it. Also, have a game plan in place for free range chickens. They still need to get outside. Thanks for sharing our posts! Keeping our animals safe and warm through the winter is so important!